Sleek, clean lines and timeless decor was the driving force behind Angelica and Adrian’s black and white wedding. Geometric bar backs used for the head table and sweet station provided a modern approach, while florals consisted of delicate blooms, such as greenery branch centrepieces and berry-infused bouquets, for an organic feel. 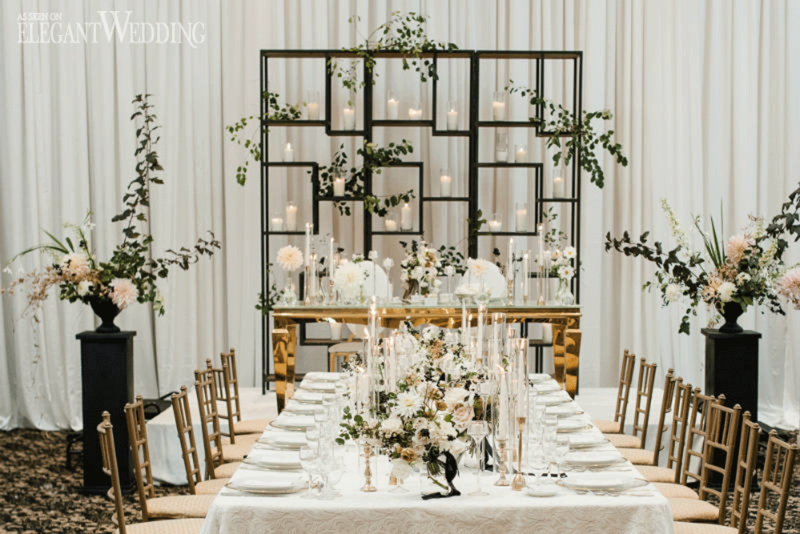 To complement the gold accents found within the venue, tableware and seating was also selected in gold. The theme came full circle when the newlyweds shared their first dance on a black and white checkerboard dance floor.